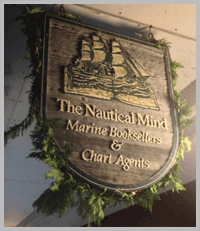 An independent bookstore and chart agency, The Nautical Mind has been delivering personal and professional service from our storefront in Toronto Harbour since 1980, and from nauticalmind.com since 1995. 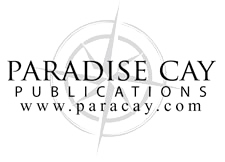 Our clients range from dinghy sailors on Georgian Bay to cargo vessel captains in Hong Kong, while our staff includes seasoned tug, tall ship, and yacht crew. 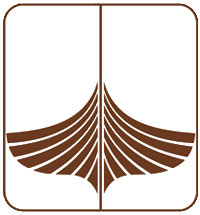 The selection of marine books and charts we carry is unmatched — if you need any information on ships or the sea, we’ll send it your way—quickly, reliably, seven days a week. * A brief note on Canadian charts. I just received the book I ordered on the weekend and wanted to say that I was very pleased with the service you provide. You sent the right book, quickly and for the quoted price. I called Nautical Mind bookstore to order a book for my son and father, and was blown away by the customer service I received. Having shopped at the store in the past, all of my information was stored in their system and within seconds, I was able to order the books I wanted over the phone and have them shipped to my address (which the store owner already knew from my previous visit to the store). I couldn’t believe how simple, easy, and fast the entire buying process was. I was so impressed that I decided to add another book for my daughter to the order as well. It was easier than shopping on Amazon and I would highly recommend this store to anyone looking for nautical adventure books! I placed an order on Thursday morning for ‘Marine Diesel Engines Nigel Calder’. I received an email by noon stating the product was in stock and shipping right away. When I got home from work Friday night the book had been delivered. I’m not easily impressed but there are no words to explain my amazement at this overnight turn around time. I was impressed to say the least. Thank you for your expediency and efficiency. Please pass on my appreciation to all involved. I found my book it on my doorstep this morning, you guys don’t mess around. Now all I have to do is get the boat launched. Thanks!